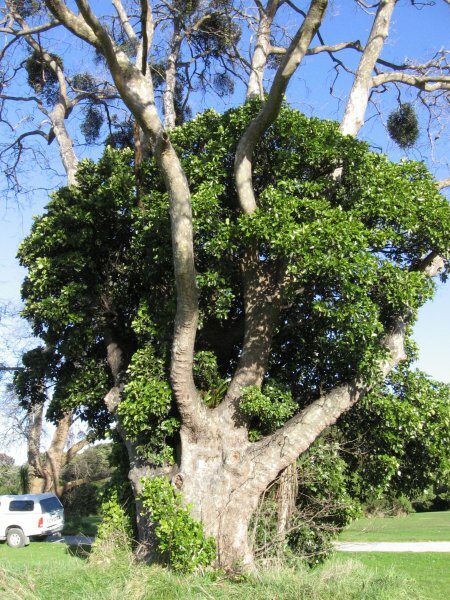 The largest specimen in an avenue of 17 London plane trees lining the drive to Totaranui Beach. See group listing TSR/G0939. 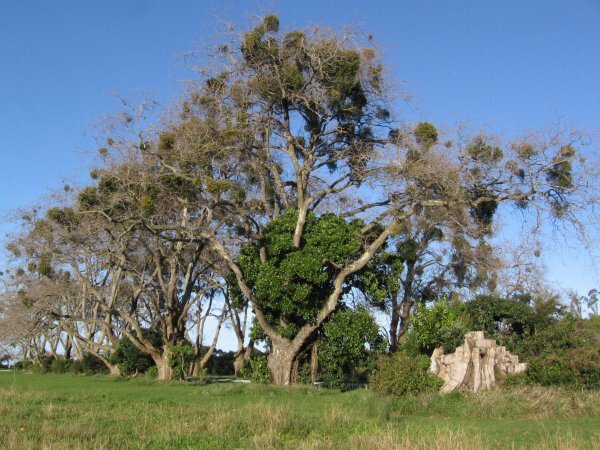 In the book 'Great Trees of New Zealand' (1984, pg 204), Bob Burstall speculated that this was 'probably' the London plane with the largest girth in New Zealand. A tree of equitable proportions is located at the Botanics Reserve in Nelson NNR/0762. 05 Jul 2011 Cadwallader, B.G. Located on the left at the beginning of the avenue (from the west).